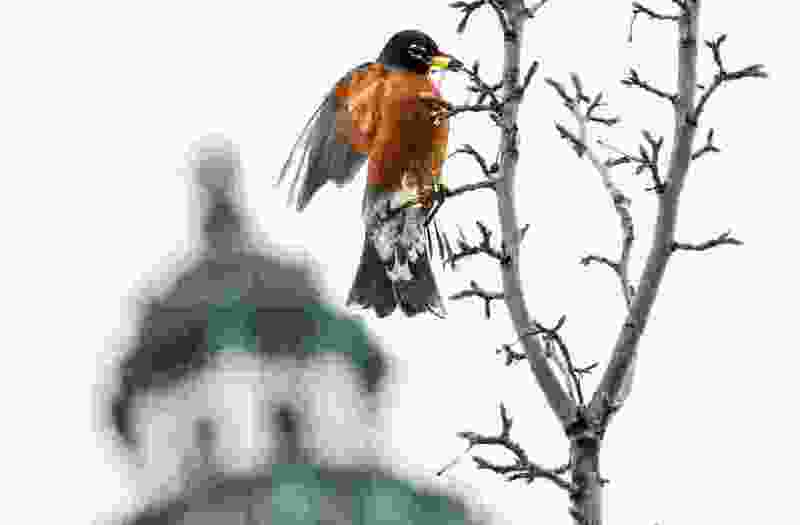 Leah Hogsten | The Salt Lake Tribune A flock of American Robins devour Yoshino cherries off the trees lining the fountain at the Utah Capitol, Feb. 13, 2019, ahead of the storm from Wednesday evening. Last week, 95 percent of you knew about efforts to put 4.8 beer in Utah’s grocery stores, but only 57 percent knew about a Sundance film revealing the late actor Anton Yelchin’s battle with cystic fibrosis. Think you kept up with the news this week? Take our quiz to find out. A new one will post every Friday morning. You can find previous quizzes here. If you’re using The Salt Lake Tribune mobile app, click here.